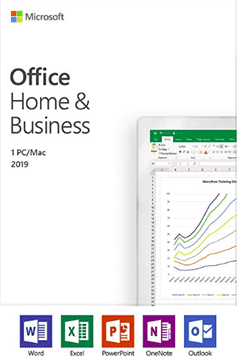 Office 2019, the new non-cloud version of Office for Windows and Mac, is now available to volume licence and commercial customers. This is the ‘cloud free’ or, as Microsoft call it the ‘on-premises’ version of Office desktop. It has no cloud related features and is ‘feature fixed’ with no future enhancements. There’ll be security and bug fixes, naturally. Office 2019 is separate from the Office software supplied to Office 365 customers. Ignore Office 2019 if you have an Office 365 ‘subscription’. Office 2019 has LESS features than the current Office 365 releases for Windows or Mac. Microsoft says that Office 2019 has a ‘meaningful subset’ of the Office 365 features. Office 2019 is sold as a one-time purchase or ‘perpetual licence’ version of Office. According to Microsoft there’s now ‘general availability’ of ‘ Office 2019 is the next on-premises version of Word, Excel, PowerPoint, Outlook, Project, Visio, Access, and Publisher. ‘. ‘General availability’ only means volume licence and commercial customers at this time. According to Microsoft, consumers will be able to buy Office 2019 vaguely ‘in next few weeks’ but it could be less than a week away. OneNote is NOT included in Office 2019. OneNote 2016 is the last desktop version of OneNote. Microsoft recommends OneNote for Windows 10 instead. The first change in Office 2019 for Windows is the installation method. Gone is the single download or .MSI method that you might be used to. Office 2019 is only available by the streaming or ‘Click to Run’ (CtR) method. You download a small installation file and run it. The installer then downloads and installs the Office components. CtR has been used for many years and is now the only Office 365 for Windows install method. The advantage of CtR is that you get the latest version automatically. The downside is that you can’t download then install later (for example when Internet access is slow or difficult).